Futuristic, modern day Cinderella story with an Asian fantasy twist. 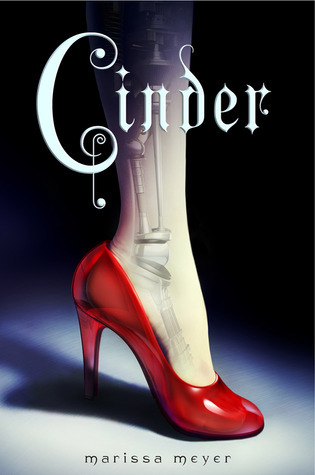 Linh Cinder has the cruel stepmother, the two stepsisters (although one is actually quite nice), and the desire to be more than what she is. She daydreams of getting out of New Beijing and paving her own path even though she is seen as an outcast because she is not exactly entirely human. Things look helpless until Prince Kai steps in and asks her to fix one of his beloved gadgets. Doing so, Cinder uncovers a plot again the Prince and the entire kingdom. She juggles her horrid home-life, her longings to escape, and yes - the advances of the Prince. There isn't a glass slipper, but there is a ball! This story loosely follows the original fairy tale we all know and love. There are many variations that keep this story moving and it almost seems completely original. Totally interesting, captivating, and teens will love this retelling! Why did it take me this long to read this book?! Everyone told me I would love it.... I literally ate this story up in just one day. In a nutshell, love is illegal and it is a requirement for all teens to go through a procedure to be cured from the disease, the deliria. Interesting, right? Lena is an obedient girl and ready to be rid of the risks of love until she meets a handsome and reckless boy who changes her mind about everything. We follow their courtship (all secrets, lies, and hiding) and you just can't help but root them on. 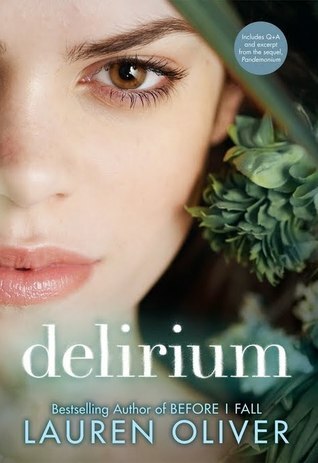 When Lena's date for her procedure draws near, she has to confront the realities of living with love or living with loss. Do yourself a favor and read this story. It will fill your Hunger Games gap.